Natural Form Running Clinic + Spring Fling Newton (+ ONE) Fun Run! Home › Latest News › Natural Form Running Clinic + Spring Fling Newton (+ ONE) Fun Run! Winter is officially OVER! It's time to dust off those running shoes and reengage with proper running form to make sure you have an injury-free year! Juda McGannon, Newton Form educator and evangelist will be in the house to teach you the principles of Natural Form Running. She will teach you form drills, give you one-on-one help with your form and biomechanics, and will lead us in a practice fun run! Learn more about Juda McGannon here! Spring Fling (+ ONE) Fun Run! 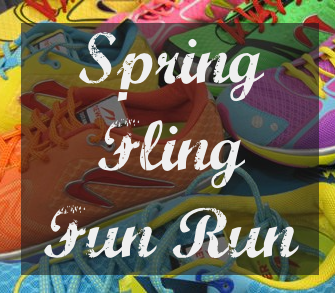 After the form clinic, join us for our Spring Fling (+ ONE) Fun Run to welcome in the first day of SPRING! During the run, we'll be practicing what we learned on the run, and test running the NEW Newton running shoes with five lugs! That's right - the best just got even better. With the addition of the fifth lug, the Newton running shoes has even more performance and responsiveness that's unique and unparalleled! Newton is all about being bright, bold, and original. For the run - break out your brightest spring clothes that represent what Newton is all about! The best, most brightest outfit will receive an awesome (secret) prize from Newton! Please RSVP to noelle.tarr@fleetfeetannapolis(dot)com to attend!